SPARKART! 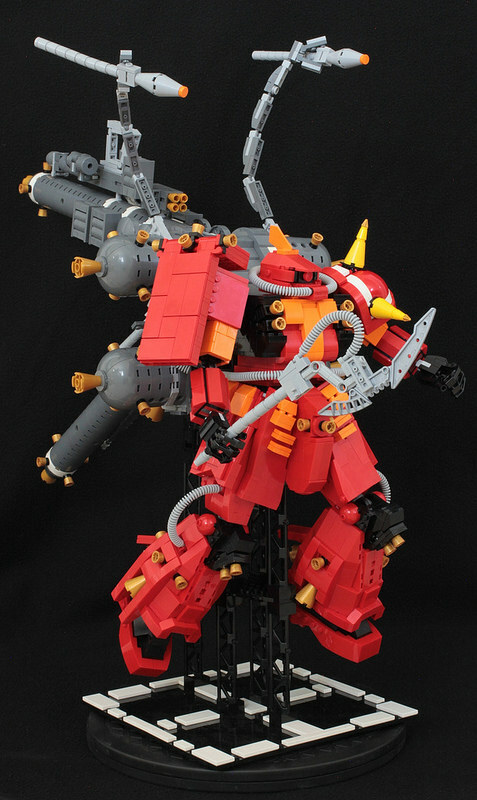 used around 2200 carefully selected and arranged LEGO pieces to create this model of the MS-06R High Mobility Type Zaku II from the anime/manga Mobile Suit Gundam Thunderbolt, a gritty, violent, and dramatic sci-fi space war story. The model is about 1 foot wide, 1.5 feet high, and 1.5 feet long (30cm X 45cm x 45cm).